While stuck at the Hartsfield-Jackson Atlanta International Airport recently for several hours, we decided to make the best of it and try out One Flew South. I’ve heard so much about the busy airport’s first upscale restaurant, which serves cocktails, sushi, and a variety of other menu items, so I was excited to check it out. We had some time to kill, so we went all out — appetizers, cocktails, lunch, and dessert. 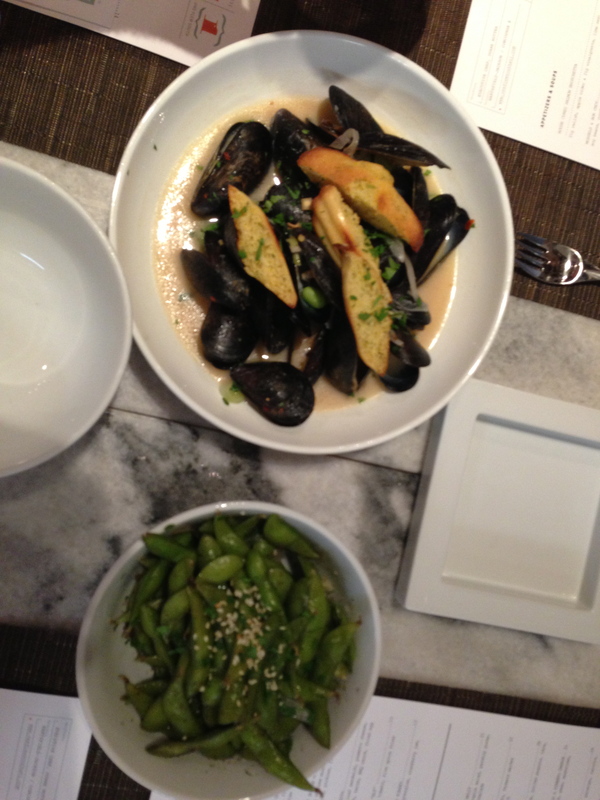 We started with the mussels and edamame. We got some fancy cocktails… well, Craig did. It was called Pretty Brown Eyes (after me, of course) and was made with bourbon topped with red wine. Sounds gross, but I think he liked it. Lauren and I split the open-face meatloaf sandwich and fries for lunch, so we had plenty of room for dessert. The freshly baked chocolate chip cookies were to die for. They just needed some ice cream. I didn’t try the banana pudding, but it was a pretty presentation. It was definitely the best meal I’ve had in any airport, and the price tag reflected that. Maybe next time I wouldn’t splurge on three courses as well as drinks…. but at least it was fun! On a different note, it’s 9/11, and I just want to say a sincere thank you to all of our service men and women who have fought and continue to fight for our freedom and safety. I’m so very grateful for your sacrifice.